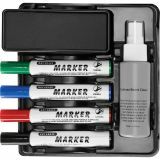 Lorell Dry-erase Marker Caddy Kit - Marker and Eraser Caddy Kit accessorizes your dry-erase communication center. 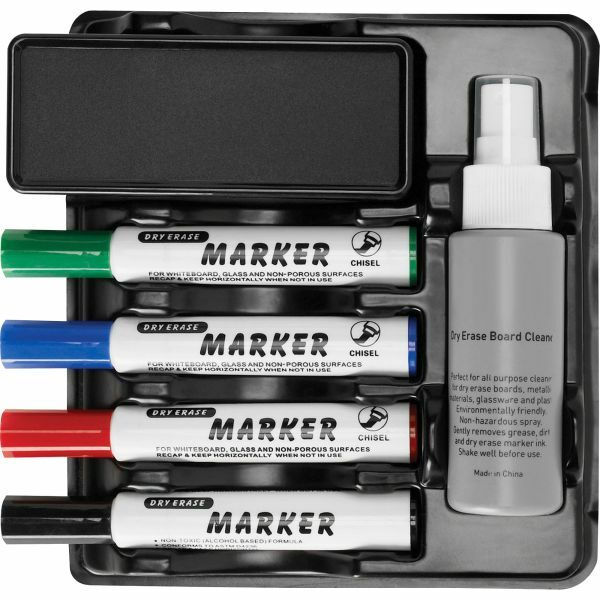 It includes four markers, one cleaner and one eraser in a black holder base. Easily mount with the included double-sided tape and magnetic strips.